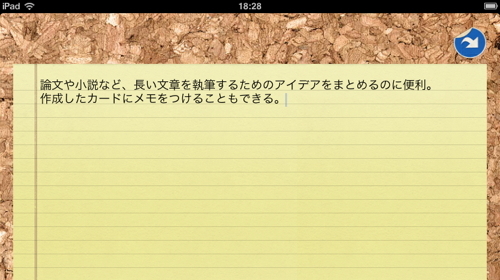 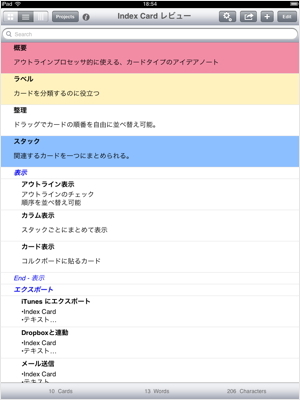 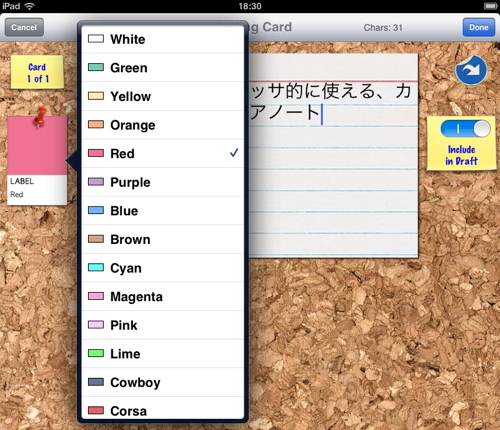 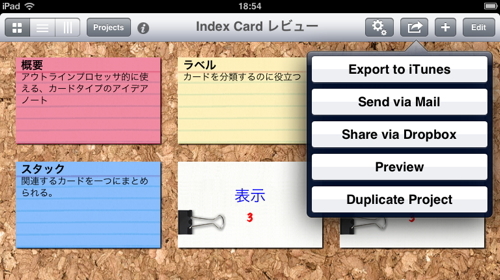 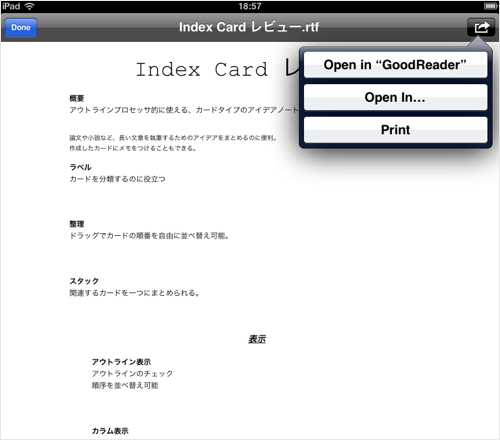 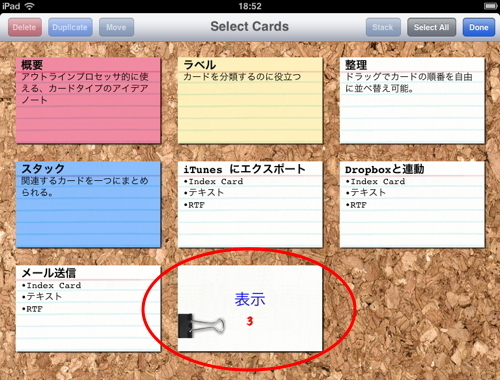 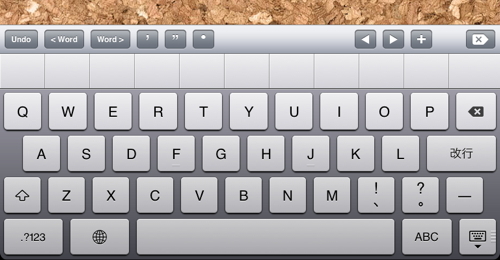 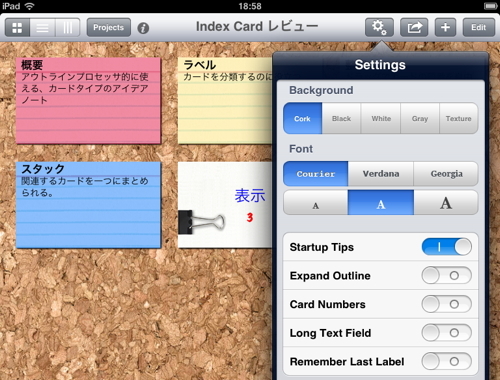 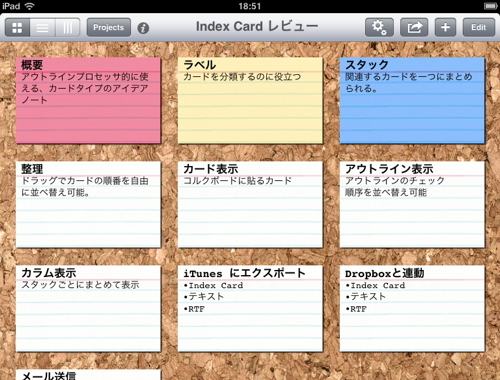 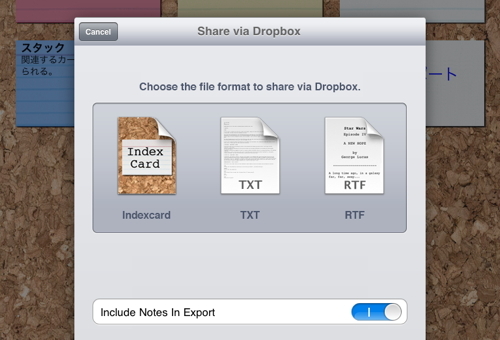 Index Card is a simple, but powerful, non-linear writing tool designed specifically for the iPad. 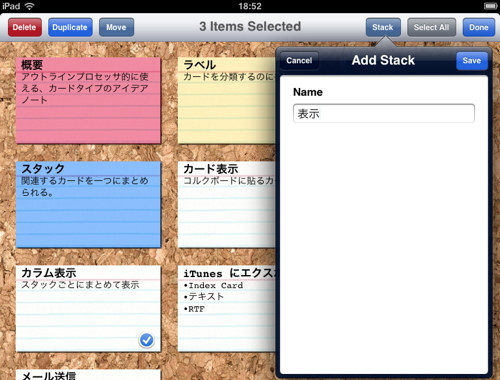 Capture your ideas and store notes as they come to you. 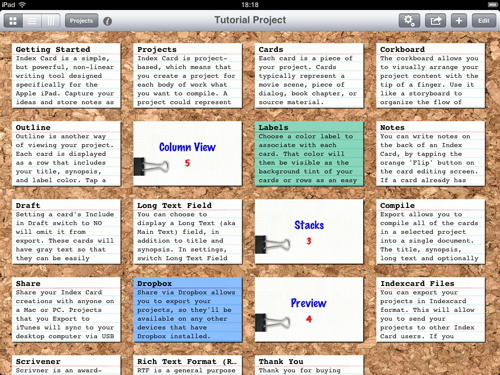 Organize the flow of your project by using a familiar corkboard interface. 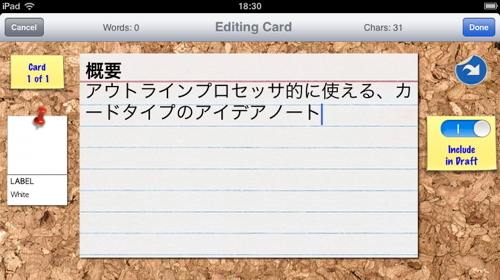 Compile your work into a single draft document that can be read by most word processors. 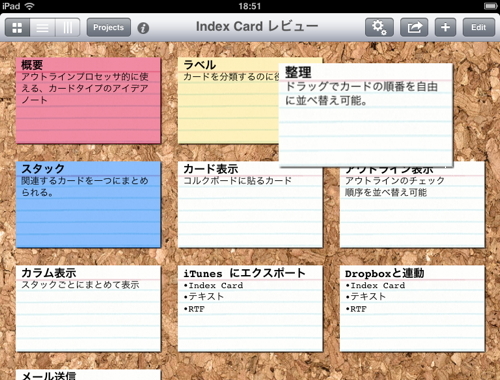 Index Card will assist in writing, structuring, and managing a large project by allowing you to work in small easily manageable chunks. 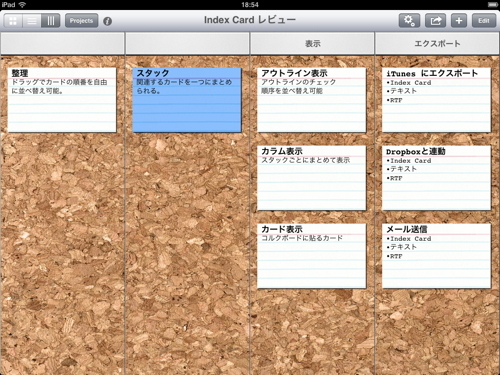 Whether you are a novelist, screen writer, academic researcher, comic writer, or journalist, Index Card can help you get it out of your brain and on to the page.